The funky trailer of the Emraan Hashmi-Vidya Balan starrer Ghanchakkar has evoked enough interest and enthusiasm among those film buffs who prefer to watch entertaining yet hatke cinema. And Raj Kumar Gupta’s movie looks just that! One of the most anticipated films of this year, we feel Ghanchakkar banks on the successful pairing of Emraan and Vidya who are all set to relive their magic post the super successful – The Dirty Picture. The movie scores another point in the form of the equally hatke music by Amit Trivedi who loves to experiment with every new project. We give Ghanchakkar a big thumbs up! 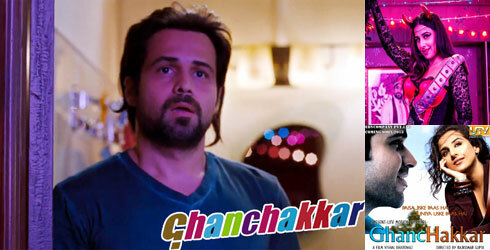 “Ghanchakkar features two stars who have an enviable track record at the box office – Emraan Hashmi and Vidya Balan. Interestingly, both feature in roles that are quite unconventional and drastically different from what both of them have done in the past. The premise of the film covers both the single screen and the multiplex audience and the uniqueness of the plot is bound to draw people’s interest! It would be interesting to see how the film fares,” points out leading exhibitor-distributor Akshaye Rathi.